No bed is complete without a proper headboard. 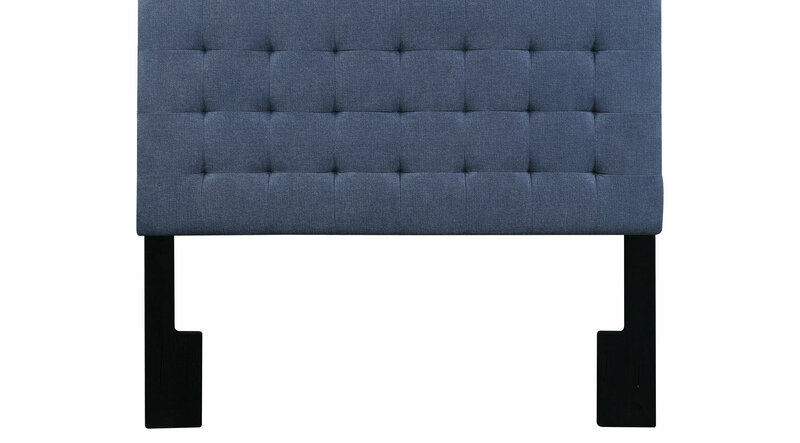 The Taylor Terrace blue queen upholstered headboard is an excellent option for modern decors. It features a sleek silhouette and grid-style button-less tufting. A soft vintage denim-look fabric adds a lovely aged appeal. Compatible with most bed frames. Height is adjustable to fit a range of mattresses and foundations.